Taking a longview of your personal data gives you a much clearer picture. 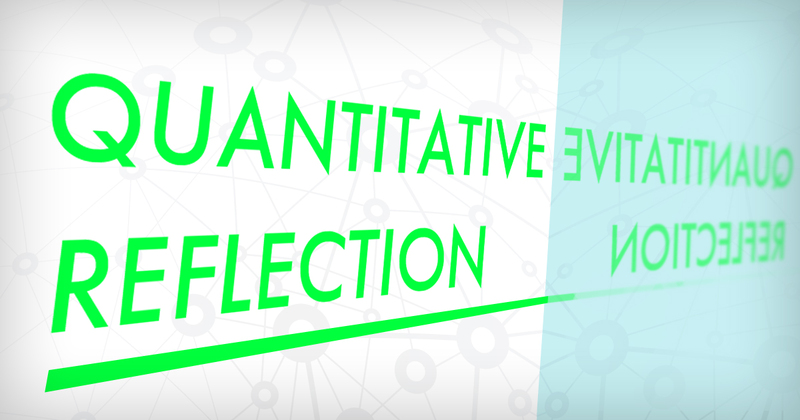 Tracking different data points in one's own life provides an interesting opportunity for quantitative reflection. Visualizing your behavior in chart form is like stepping outside of yourself and looking at your own life as someone else. If you are looking to change some aspect of your life and alter your behavior, being able to see the numerical impact of your decisions is a valuable aid. I've been making my own personal annual reports for the last several years and they always provide some insights (useful and otherwise). So why is data useful to changing your behavior? We are all subject to a variety of cognitive biases & limitations that influence our memory of past events and our brain's ability to properly consider future outcomes. In short, we forget things and we aren't great at predicting the future. When it comes to the past, our vision might be 20/20 in hindsight but our recollection of details is far from it. Most people are unable to store / retrieve the details of daily events in long-term memory. Do you remember what you ate for dinner the first Tuesday three months ago? Perhaps how much you spent on gas last June. Making a record of events and saving it for later pays dividends down the road when you can bring that data together and visualize it. It frees your brain to do other things. On the flip side, if recollecting past behavior is a problem then predicting future behavior can be just as bad. Our minds are victim to impact bias which is the tendency for our prefrontal cortex to not simulate future situations as well as we think it can. If asked where we will be in 10 years many of us may see rose-tinted futures but fail to remember that mundane activities like paying bills, sitting in traffic and buying groceries will also be a part of that idealized future. Another example is the difficulty people have appreciating the impact of compound interest and the role it plays in debt as well as investing. People see the here & now and fail to appreciate the full impact of their decisions across time. Visualizing your future with data helps to ground your future visions in reality. To help make new or better decisions it is nice to have an impartial record of our behavior that might steer us towards the best (and possibly different) future course of action other than the one our brains may have imagined on their own.